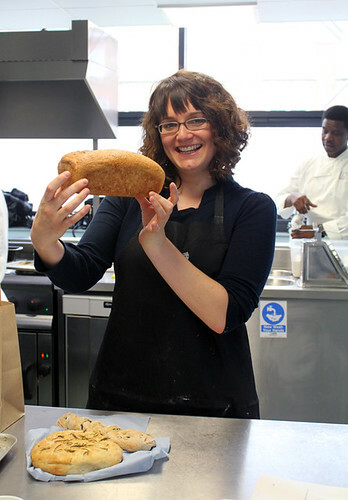 Bread Making at the Open Kitchen part 2 | Abandon Spoon! 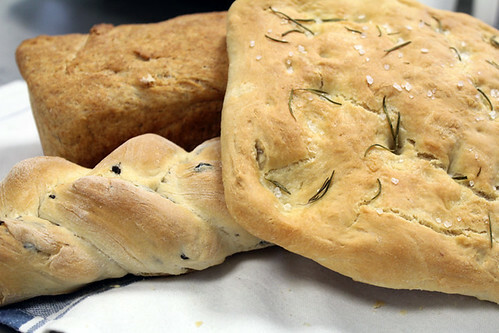 Following on from my previous post of bread making at the open kitchen is the other recipe we were taught that day. 1. Mix the yeast into the warm water and stir until dissolved. 2. 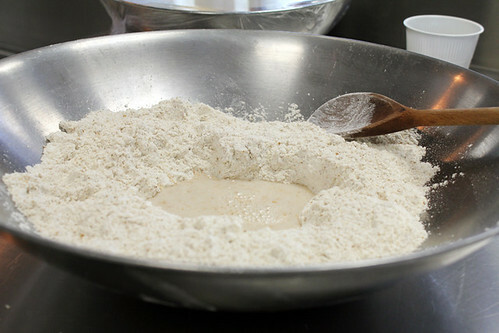 Place both flours into a bowl and make a well in the centre. Pour half the water into the well, sugar and salt and stir. 3. 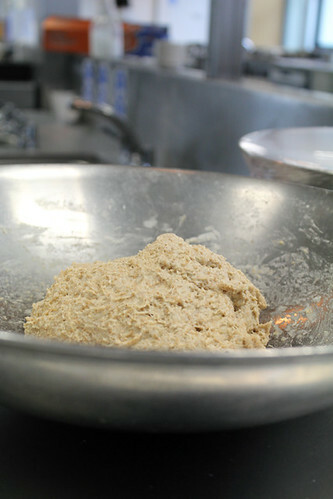 Slowly bring the flour into the centre and continue mixing untill you have a stodgy, porridgy consistency. 4. Add the remaining water and stir, then with floured hands pat and push together the dough. 5. Take with dough out of the bowl and onto a floured surface, and knead for about 4 to 5 minutes until you have silky and elastic dough. 6. Flour the top of your dough. Put it in a bowl and cover with cling film. 7. Allow to prove for about half an hour until it has doubled in size. 8. Put the dough into a greased bread tin, brush the top with milk and bake in the oven for 30-45 mins (170c). Loved your recipe! Very detailed!